The battlefront and home fronts come alive through the eyes of ordinary soldiers and such little known characters as General Herman Haunt, commander of the US railroads, and the politician turned soldier general Dan Sickles, a political arch enemy of Grant's. As the best plans are undone, this book builds to a portrait of the war that was. The Army of Northern Virginia is poised to invade Washington, D.C. A besieged Lincoln calls on a general with a drinking Union. In the East, Ulysses Grant faces a storm of calamity and rivalry, and a war on the verge of being lost. In this extraordinary book, the battlefront and home fronts come alive through the eyes of ordinary soldiers and such little known characters as General Herman Haunt, commander of the U.S. railroads, and the politician turned soldier general Dan Sickles, a political arch enemy of Grant's. 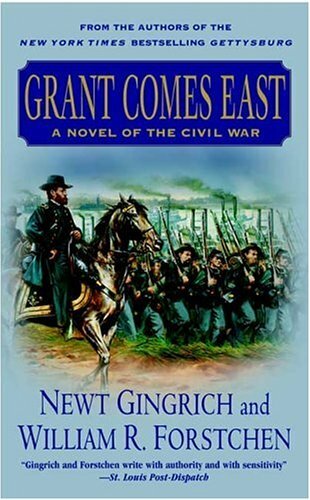 As the best plans are undone, and every strategy countered by another, "Grant Comes East", builds to a stunning portrait of the war that was, and the war that might have been.